19 years after Tom Cruise first appeared as super-spy Ethan Hunt in the first entry of the series, Mission: Impossible - Rogue Nation gives us one of the first indications that the box office star is getting a little old for action films. It's not that Cruise isn't capable of pulling off the abundant stunts littered throughout the film, or at least appearing that he does. Five minutes in, Ethan Hunt is hanging off of the side of an Airbus as it takes off, and the camera is firmly planted on a real-life plane's wing, trained on Cruise dangling from the plane's doorway, not some stunt-man. 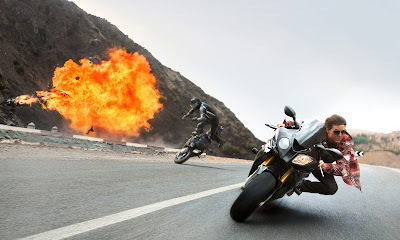 But it's a silly scene, related to the plot in only the most tangential way, as are most of the other stunt setpieces in Rogue Nation. Let's forgo all of the groaners about good things coming in small packages and so forth. Ant-Man is a pleasing enough take on the superhero movie that it doesn't need any help, tired jokes or otherwise, from a hack like me. 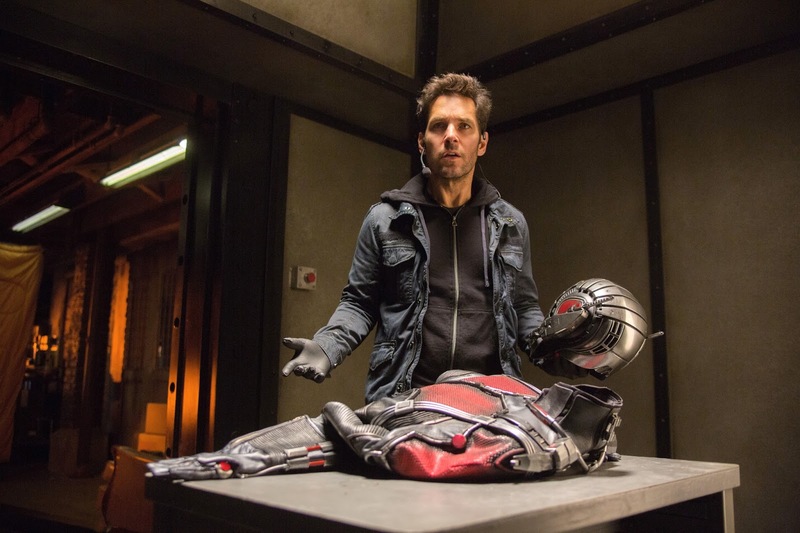 Ant-Man is neither overstuffed epic like the recent Avengers sequel, Age of Ultron, nor clever, brooding thriller a la Captain America: The Winter Soldier. Ant-Man is a perfectly modest adventure about a man out of his depth in all levels of life who finally finds his niche in the disorienting world of the sub-atomic. Labels: action, Ant-Man, Bobby Cannavale, Corey Stoll, Evangeline Lilly, Film Review, Hayley Atwell, John Slattery, Judy Greer, Marvel Comics, Michael Douglas, Michael Peña, Paul Rudd, Peyton Reed, superhero, T.I. Kate Winslet adds another to her already long list of costume dramas with A Little Chaos, the second film directed by actor Alan Rickman. 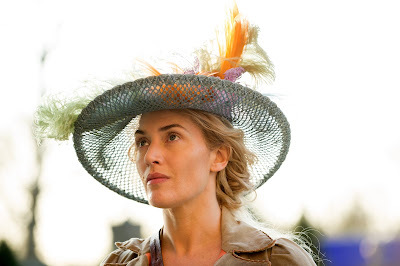 Winslet plays Madame Sabine de Barra, an anachronistically liberated gardener hired by Monsieur André le Nôtre (Matthias Schoenaerts), landscaper to King Louis IV (Rickman). De Barra is to work on an outdoor ballroom at the King's gardens in Versailles. Her independence first perturbs Le Nôtre and his male contractors. But eventually his bewilderment gives way to curiosity and then romantic fascination with the confident gardener. Her sureness in herself eventually impresses even the king himself.